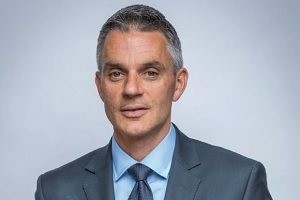 BBC Studios boss Tim Davie has bowed out of the top Premier League job. According to the Financial Times, the exec has rejected the role and assured staff that he will be staying on at BBC Studios, weeks ahead of the producer-distributor’s major Showcase event in Liverpool in February. For months, Davie had been in the mix to succeed outgoing CEO Richard Scudamore alongside ITV director of strategy Tom Betts and Discovery exec Susanna Dinnage, ultimately losing out to the latter in November. A spanner was thrown in the Premier League’s recruitment plans, however, when the Animal Planet global president made a shock U-turn on her decision in December, less than two months after accepting the job. With Davie now backing out of the CEO role, it leaves ITV’s Betts as a potential contender, but it is still unclear whether he remains in the running. It is believed that lobbying from various football clubs around certain issues during Davie’s negotiations with the league may have discouraged the exec from taking on the role, according to the Financial Times. It is possible Dinnage faced the same pressure from the clubs as well. The league’s panel, which is chaired by Chelsea chairman Bruce Buck, is understood to have now extended the search.